Family owned and operated for over 32 years in Aberdeen, SD. JR’s Furniture is a friendly, helpful, no-hassle furniture store selling new and pre-owned furniture. 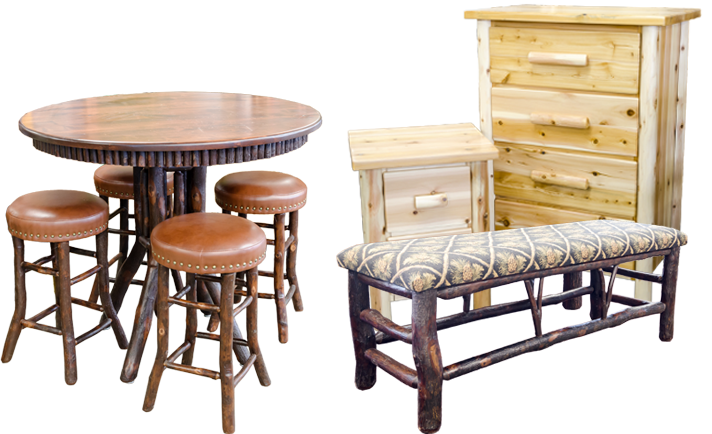 We have developed a niche in lodge furniture, allowing us to boast the largest selection of cedar log, Amish hickory and barnwood-style furniture and accessories in the area. We also offer unique accent and furniture pieces with a mix of quality, pre-owned home furnishings that come direct from estates or liquidations. The warmth of wood says welcome home. JR’s Furniture has the largest in-store selection of log cabin and lodge furniture in the area. Whether it’s for your rustic cabin on the lake or your retreat in the woods, bring the inspiration of the outdoors into your home. Check Out More Lodge & Log Furniture! Let’s get personal…with your home that is. Accents are a great way to personalize your home and show your style. Choose from a large variety of side tables, rugs and chairs to show your personality. View More of Our Home Accents! Furnish your bedroom in style and comfort, all for an affordable price. At JR’s Furniture, our selection of new and used bedroom furniture has a practical price on a great selection of five piece groupings and much more. See More of Our Bedroom Furniture! Kick your feet up and relax with our wide selection of microfiber and bonded leather couches and chairs. 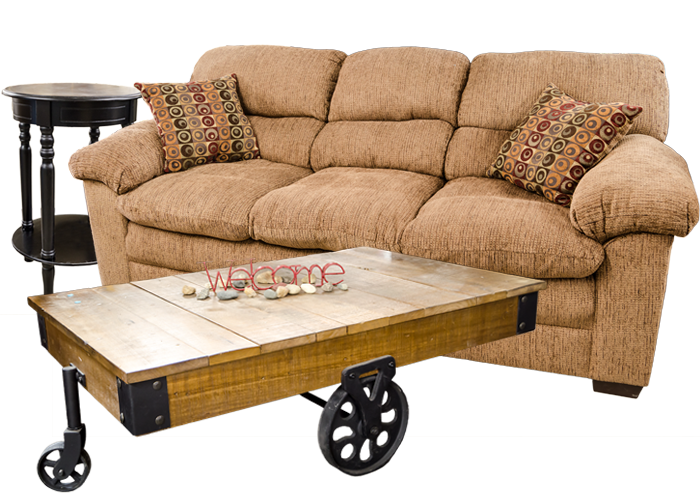 Along with recliners, chaise lounges and much more, JR’s Furniture has everything you need to entertainment or relax. View More Living Room Furniture on Facebook! Entertain in style with our all-wood, durable dining room furniture. 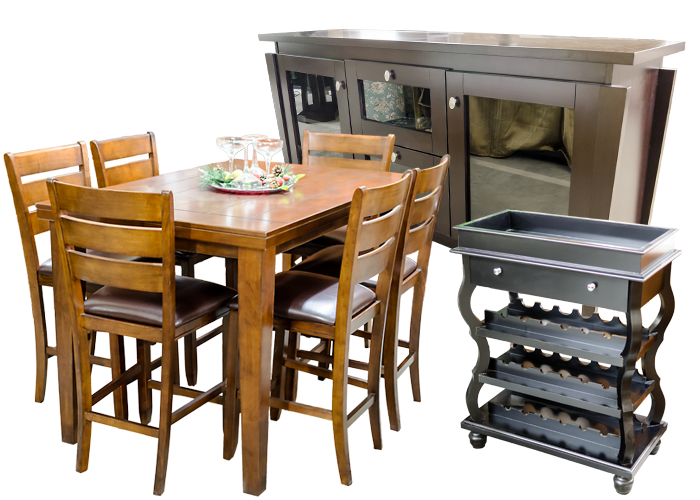 Perfect for a gathering, benches, buffets and more are waiting to be found at JR’s Furniture. Check Out More of Our Dining Room Finds! 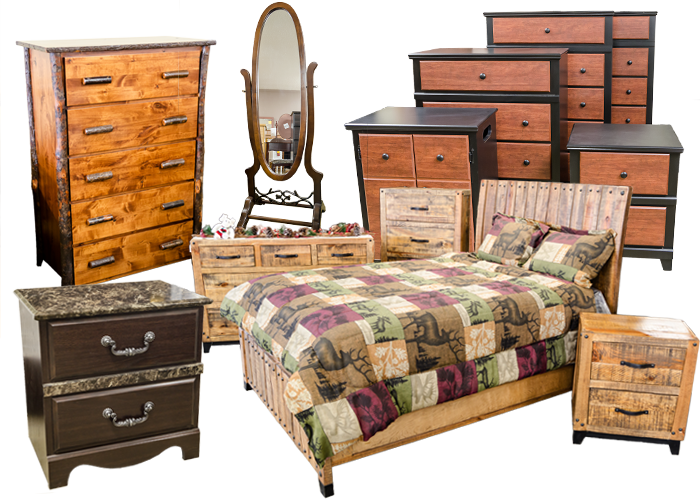 Located on 6th Avenue in Aberdeen, South Dakota, we are your convenient stop for log/lodge furniture, as well as a wide variety of dining room, living room and bedroom furniture and home accents. Stop in to see what we have to offer today! © 2015 JR's Furniture. All rights reserved. | Website Design by McQuillen Creative Group.